Chop shrimp into small pieces and add to citrus. Stir and be sure that the fish is fully submerged. 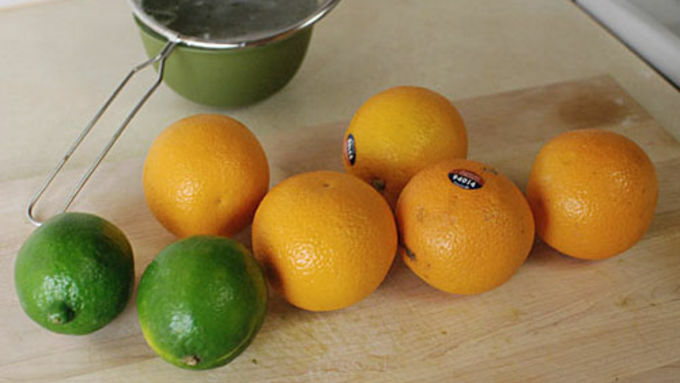 Add more orange and lime juice if needed. 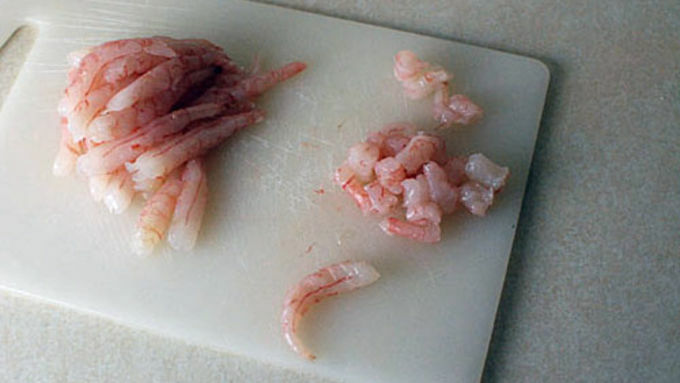 Allow to sit in the fridge until the shrimp turns opaque and appears to be cooked. Depending on the smallness of your shrimp pieces, the freshness of both the citrus and the shrimp, and your desired level of doneness this could take between 15 minutes and 45 minutes. With a slotted spoon, remove some of the shrimp and place on a plate. Serve with your choice of chips, tortilla, sweet potato, puffed corn, crostini, or my favorite, a spoon. 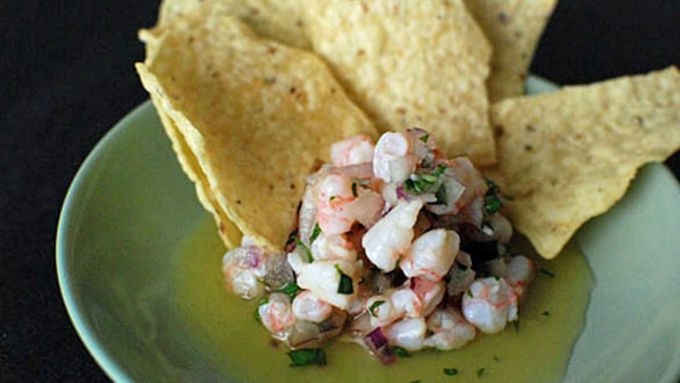 Ceviche tastes like summer to me. It’s light, refreshing, and the flavors dance around in your mouth and pop off your tongue. 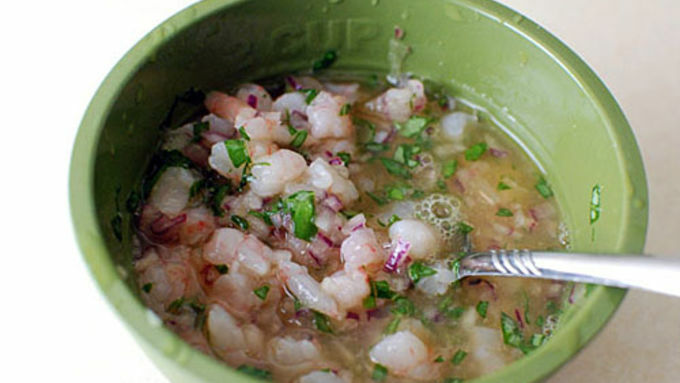 I often forget how much I love ceviche until I take that first bite and my whole body seems to wake up and say hello! I recently made this orange-basil twist on traditional ceviche when it was too hot to turn on the stove. 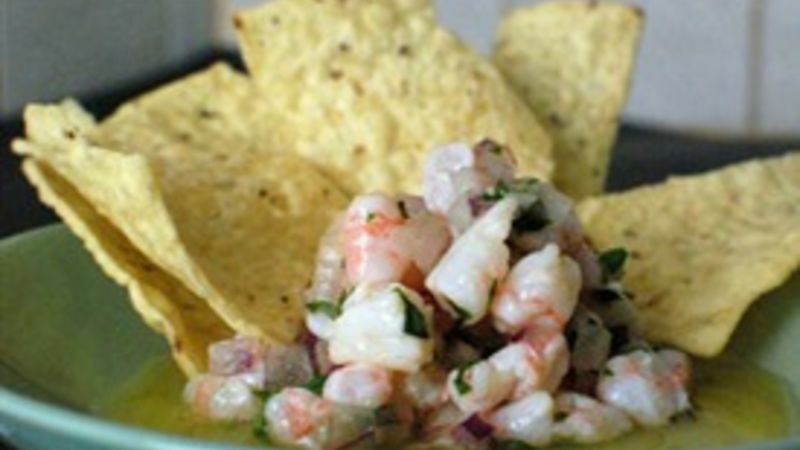 Some people avoid ceviche because they’re weirded out by eating raw fish. Ceviche, however, is not raw. The citrus cooks the fish in a similar (yet totally different) way that heat does. The taste, texture, and appearance are much more like something cooked than that of raw sushi. Even though the citrus cooks the fish, you still need to be very careful about the fish you choose. You want to use the freshest stuff you can find for this recipe. It helps to know the fishmonger, live near the ocean, or even catch it yourself. As a disclaimer: Consuming raw or under cooked shellfish may increase your risk of foodborne illness. If you feel uncomfortable with this recipe, you can quickly blanch the shrimp in boiling water, then toss it in the citrus marinade and serve. Depending on the size, freshness, and type of fish, this could sit in the fridge cooking for anywhere from 15 minutes to an hour and a half. I had very fresh fish and very small chunks, so it only needed 15 minutes. The shrimp will go from translucent to opaque, just like it would have if we cooked it traditionally. Enjoy with tortilla chips!